Initiated in the 1942-1943 school year, the CAUC program was extended into 1943-1944. Basic military training started during the summer months and in the autumn the student-soldiers moved to a university campus for academic instruction, the syllabus consisting of a first year engineering course and some military instruction. With an enrolment of 160 men, No 1 Canadian Army University Course (No1CAUC), the pilot course was held only at the University of Toronto during1942-1943. Reviewed at the end of the school year it received positive evaluations and was deemed a success. Embroidered No 2 CAUC titles. Top, scarlet embroidery on yellow. University not identified. Bottom title. This pattern, in yellow on dark green has been identified as the generic No 2 course title. Distinctive shoulder titles were worn by the CAUC contingents, but authorizations have not been located. The shoulder titles bore the number of the course, either “No 1” or “No 2”, over “CANADIAN ARMY COURSE”. No 1 Canadian Army Course is only found in one pattern. Issued to the small enrolment of the program’s first year, the title was flocked (sprayed) in off white lettering on medium blue felt. [iv] No 2 Canadian Army Course titles are found in several patterns and colours, including flocked and embroidered examples. The standard No 2 pattern was yellow/gold embroidery on dark green melton. Other No 2 embroidered examples were made using a chain link stitch, white on medium green, standard red (scarlet) embroidered lettering on yellow melton, with a black embroidered border, oyster (silver) embroidery on maroon, and yellow embroidered lettering on medium blue base. The base materials were either felt or melton. Flocked No2 titles, on felt material are found in off white (officially called “oyster”) on medium blue and on red. The wide range of titles for No 2 CAUC is likely attributable to the course being held at different universities. Their identity and morale would be enhanced by a unique title for each serial. In addition to the numbered course titles, a title exists without a course number, reading CANADIAN ARMY COURSE, in white lettering sprayed on red felt. Its provenance has not been established, but it has been suggested that this pattern was worn by the instructional cadre. An unique solution to recruiting and training officers, the CAUC’s legacy was significant. Many of the recruits went on to distinguished careers in the army and in civilian life. Their success was grounded in the CAUC programs. 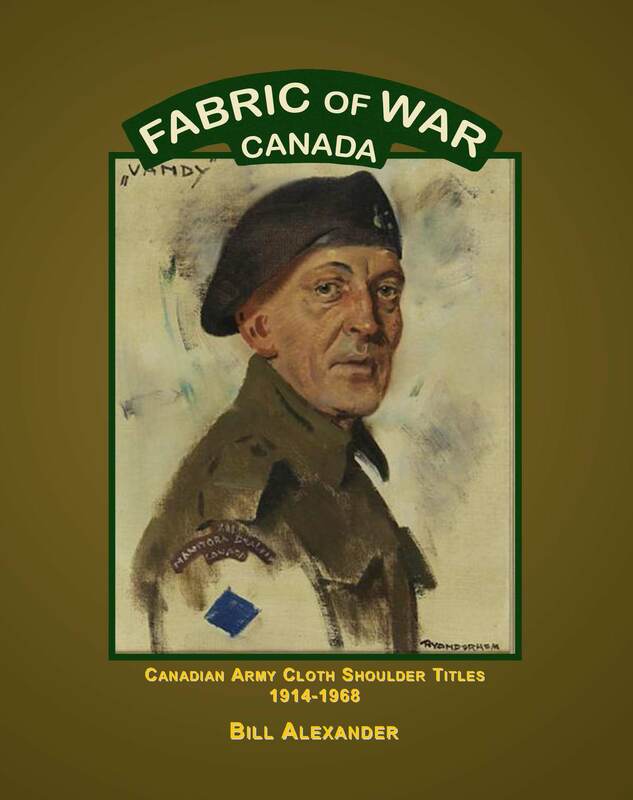 The author is currently researching the use and authorizations of shoulder titles in the Canadian Army. Service Publications looks forward to pubishing this definitive reference in the near future. [i] Stacey C.P. Six Years of War, Queen’s Printer, Ottawa, 1955. P139. [ii] Miller C., “A U of T graduate and war veteran examines the legacy of the generation that grew up fast”, University of Toronto, http://my.alumni.utoronto.ca/s/731/index_clean.aspx?sid=731&gid=9&pgid=821, (June 18, 2012.) , University of British Columbia, Senate Committee Minutes August 1943., University of Western Ontario, “125th Anniversary, Our History”, (mhtml.doc, March 19,2007. ), Bryson C, “From Work Boots to Army Boots” U of A Engineer Magazine, Winter 2003. Records for the program have not been located at archives. [iii] Thompson R., Cap Badges of the Canadian Officer Training Corps, Vol. 2, Nova Scotia, Canada. 1972. Pg 56. The plated cap badge may have been used by COTC contingents who did not have a unique pattern. [iv] Spraying (also called flocking) was a process where the naming or inscription was sprayed or painted using a stencil or screen on the base material. Spraying was usually done on a stable base fabric, usually felt. Excellent research on a very little known subject by Bill……I know the book will be of this standard of quality.